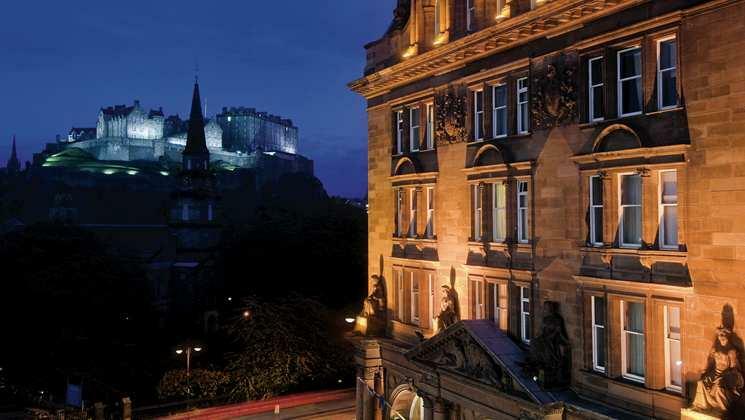 Waldorf Astoria Edinburgh - The Caledonian has recently undergone a luxury relaunch following a £24 million investment and renovation programme to bring this landmark Scottish property into the Waldorf Astoria Hotels & Resorts portfolio. ‘The Caley’, as it is affectionately known among Edinburgh locals, has embodied the very best in Scottish hospitality for over a hundred years. 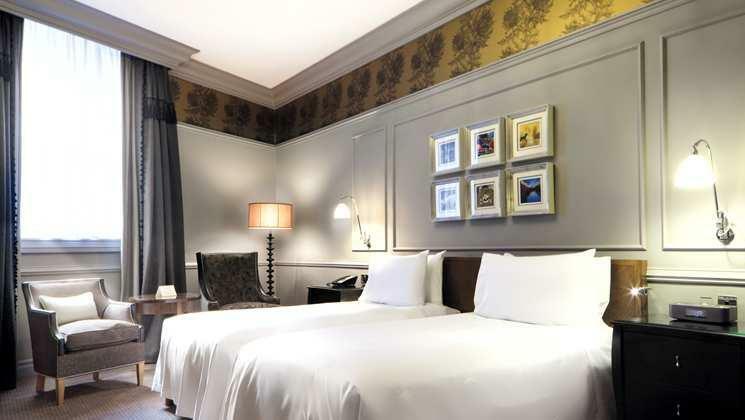 Situated at the west end of Princes Street, this former Victorian railway Hotel nestles in the shadow of the historic Edinburgh Castle and is just a two-minute walk from the designer stores and fashionable bars of George Street. With two exquisite restaurants – The Pompadour by Galvin and Galvin Brasserie de Luxe – luxurious bedrooms and the largest bathrooms of any Hotel in Edinburgh, Waldorf Astoria Edinburgh - The Caledonian is also a fully licensed venue for Edinburgh weddings and civil partnerships, providing a magical setting for your special day. Our luxury Hotel is also home to the UK's only Guerlain Spa, a relaxing haven in which one can unwind and escape with many exclusive and indulgent treatments as well as state-of-the-art fitness facilities. 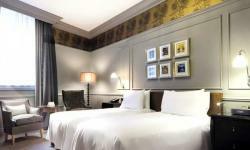 Stay with us in this inspirational environment and experience True Waldorf Service.